A full bodied and high build, latex block filler specially formulated for easy brush, roll or spray application. 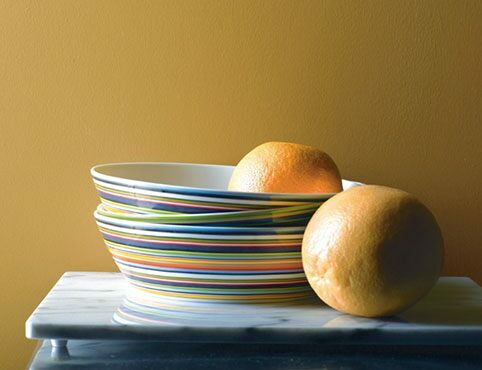 It may be top-coated with conventional Latex or Alkyd finishes as well as with Epoxy, Aliphatic Urethane, and Quick Dry Enamels. Can be used on exterior masonry surfaces when properly top coated with a Benjamin Moore exterior finish product. 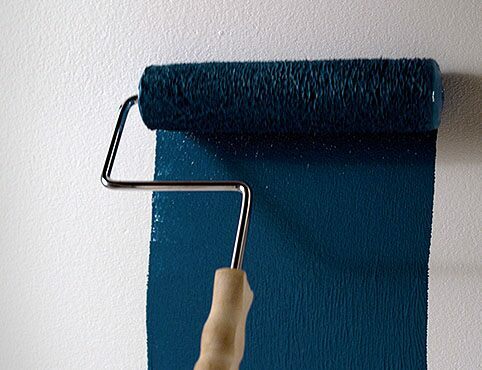 Designed to be used as a preparatory coating to create a less porous, smoother painting surface. A high-build, flexible 100% acrylic coating. When applied as directed, up to 20 mils wet film thickness, this product bridges minor surface imperfections, provides outstanding durability, and offers long lasting protection. Bridges cracks up to 1/32"
For use on exterior masonry surfaces such as smooth stucco, concrete block, pre-cast concrete, poured in place concrete and tilt-up construction. 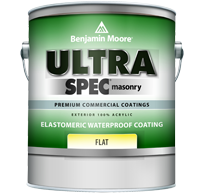 A high-build, low lustre elastomeric coating with 300% elongation that is designed to beautify and protect masonry structures from damage due to weathering and moisture intrusion. 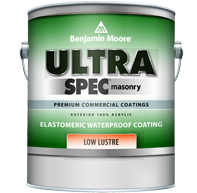 When applied as directed, at up to 20 mils wet film thickness per coat, this product fills pores, and bridges minor surface cracks to create a monolithic film that protects masonry from the weather's deteriorating effects. 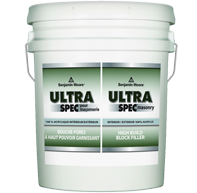 Reduces the porosity of masonry surfaces. High alkali resistant – up to Ph 13. For use on exterior uncoated or new masonry and previously painted surfaces such as smooth stucco, concrete/cinder block, fibre cement siding, pre-cast concrete, poured in place concrete, and tilt-up construction. 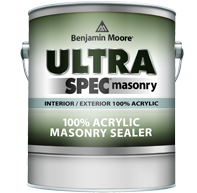 Designed to penetrate and seal the surface of new or previously painted masonry surfaces providing the proper foundation for subsequent finish coats. It can be applied to masonry with Ph levels as high as 13. For application to new or previously painted masonry surfaces including; tilt-up concrete construction, stucco surfaces and block construction. 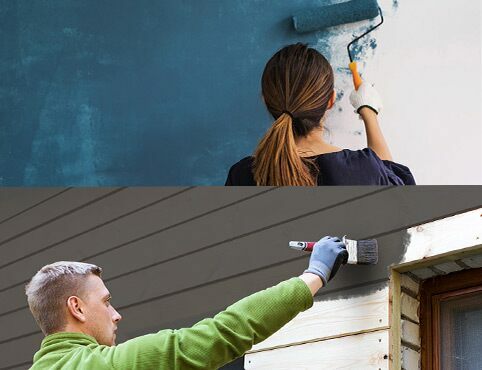 For application to new or previously painted interior/exterior surfaces including: tilt-up concrete construction, stucco surfaces, block construction.